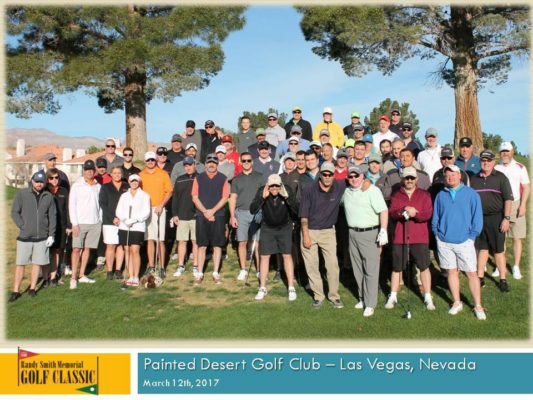 On Sunday , February 24, the RSMGC Foundation, the EACA, the EDPA Foundation, and ExhibitorLive invite you to participate in the 5th Annual Las Vegas Randy Smith Memorial Golf Classic. The Las Vegas Randy Smith Memorial Golf Classic, like other RSMGC events, will benefit families in the exhibition industry who have suffered severe tragedies or face insurmountable medical expenses. The commitment of the RSMGC is to provide financial and emotional support to all past and present recipients and their families. The Las Vegas Randy will take place at Painted Desert Golf Club at 5555 Painted Mirage Rd. in Las Vegas during Exhibitor Week on Sunday, February 24. Shotgun start at 8:30am. To register or sponsor the 2019 Las Vegas Randy please complete the online registration form, including your payment information.